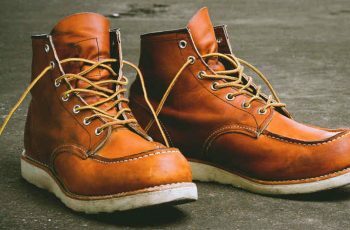 When it comes to buying the best work boots, you should never scrimp on price and buy yourself a cheap pair of sub-standard work boots. 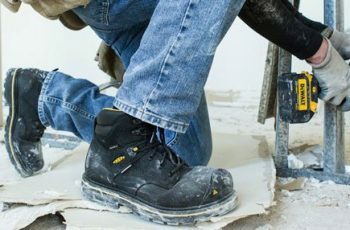 A good pair of work boots can essentially save your feet from serious injury. I would normally advise people to stick to the well know, tried and tested brands such as Timberland and Keen. 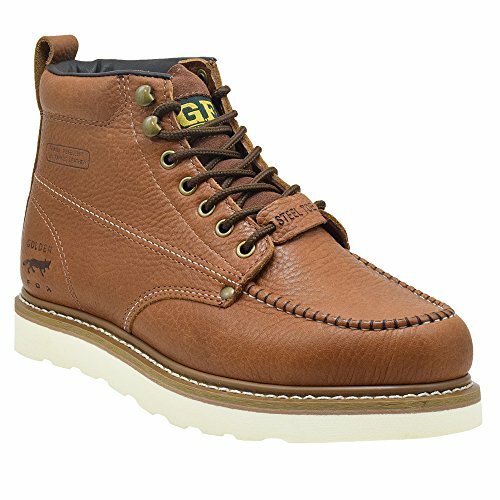 But in this instance I recommend you give Golden Fox a go if you don’t have the hundreds on dollars to spend on the more expensive brands of work boots. 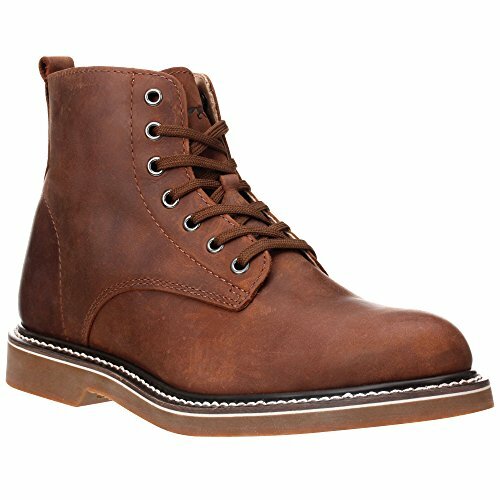 Golden Fox has been producing top quality, hand stitched work boots and footwear since 1970 and are a good old fashioned family run American company. They use premium American leather that will last and last through years of wear and tear. They are probably the best budget work boot brand on the market. But this does not mean that they are not going to provide you with a good level of safety and comfort. This brand certainly does step up to the plate when it comes to producing affordable safety work boots. 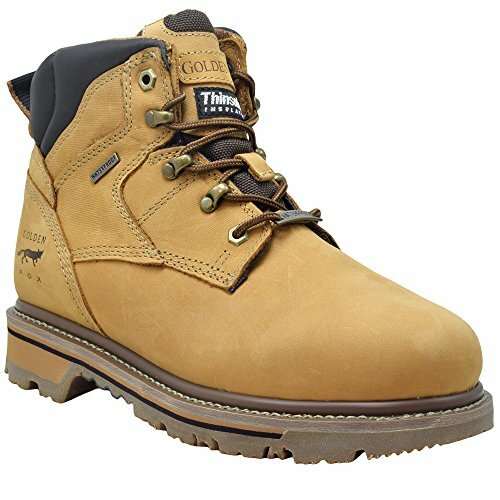 Below I have listed the Best Golden Fox work boots in the brand overall. They are in no particular order, and I have marked them out of 5 to give you a better understanding of which ones perform the best. The 6″ Waterproof Thinsulate Work Boot is one of the most innovative designs in the Golden Fox lineup. 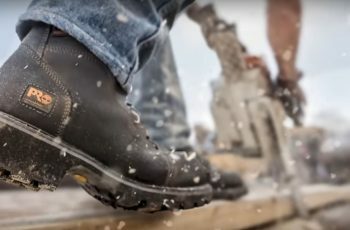 Built for laborers who work on rough surfaces, the pair features a combination of innovative technologies to keep feet safe and comfortable. They have a breathable, waterproof leather upper and feature 3M Thinsulate Insulation to keep feet warm and dry in cold and wet weather conditions. A double-density EVA midsole and steel shank help reduce back pressure. Additionally, a well-designed rubber outsole provides superior traction and helps safeguard feet from punctures. 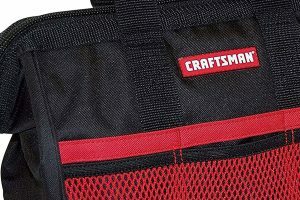 The stitching pattern attracts dirt and requires constant cleaning. The Plain Toe Wedge Boot is designed to prevent liquids from entering the toe box, making it the perfect footwear to perform landscaping and construction duties. A water-resistant barrier keeps toes dry in wet weather and muddy conditions. They feature flexible Goodyear welt construction for durability. Also, a triple-stitch design enhances the boots’ style and provides additional support from the vamp to the heel. The polyurethane outsole has a ripple tread pattern to prevent shock and fatigue. Plus, the rear loop heel strap makes it easy to pull the boots on. The boots run a half-size large, so you will need to add a pair of thick insoles or socks for a perfect fit. 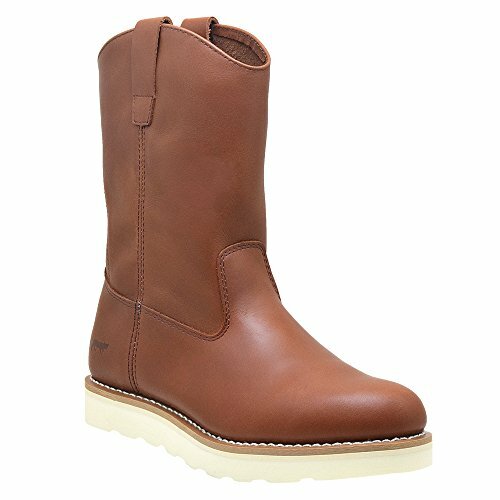 The 12″ Pull-On boot features a Wellington wedge outsole, making it easy to perform farming and ranching chores. This lightweight work boot features an anti-fatigue insole to absorb shock, support the legs, and reduce lower back pain. A wavy outsole allows you to walk and stand on uneven ground with ease while harvesting crops and tending to livestock. The boots are treated with chemical and oil-resistant properties to provide long-lasting wear. Pull-on tabs allow you slip them on with ease. 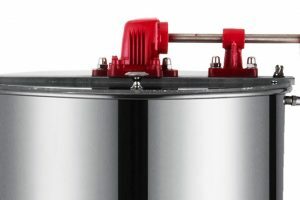 With a 12″ shaft, ankles and feet receive full protection from the mud. It takes a few days to break in these work boots. Golden Fox’s Western Romeo boots combine fashion and comfort. The white outsole contrasted against the oil tanned leather upper intensifies the look of the footwear. For added comfort, these stylish ankle boots feature elastic side panels and pull-on tabs. 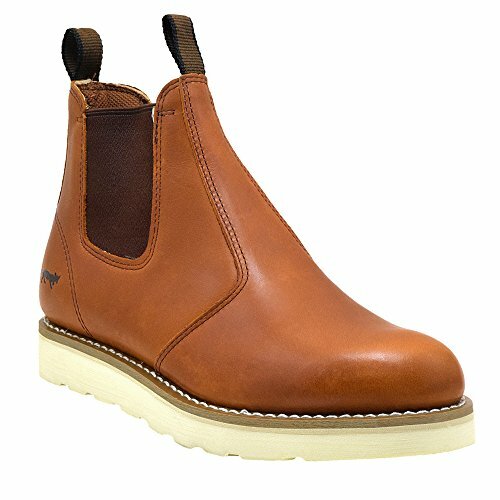 The lightweight boots are assembled with Goodyear welt construction to ensure durability. Thanks to an anti-microbial mesh lining, they wick away moisture, allowing your feet to breathe. The wedge soles are practical and comfortable for long work days on the assembly line or a night of dancing. A Texon midsole and steel shank provide stability and a shock-absorbing outsole prevent fatigue. These industrial-strength work boots feature waxed Nubuck leather and a rugged rubber outsole. 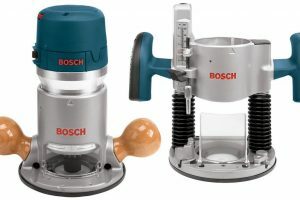 They have been compression and impact tested and meet all safety standards. A breathable mesh interior keeps feet dry and padded cuffs wrap around the ankles to provide protection. The removable insole contains a four-layer footbed to provide all-day comfort from the toe to the heel. With Goodyear welt construction and a steel shank for stability, these boots offer hours of comfort and stability. A durable rubber outsole contains flex points, so your feet can move without restrictions as you walk. 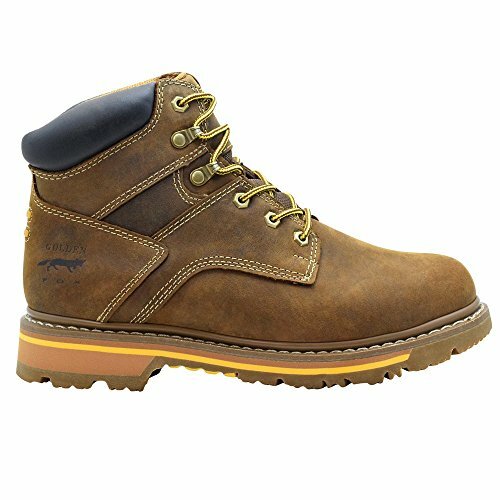 Golden Fox Steel Toe Men’s Lightweight Work Boots Moc Toe Boot Insulated – Brun Comfortable Safety Boot For Construction. 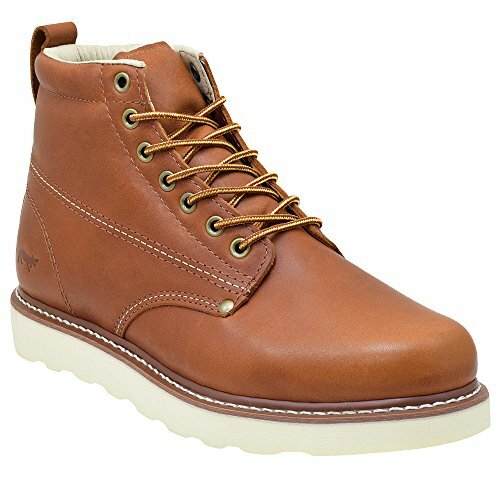 Like other work boots from this brand, the Steel Moc Toe features Golden Fox’s signature polyurethane sole. What makes this rugged boot stand apart from the other models is the genuine denier, double-toe stitching. 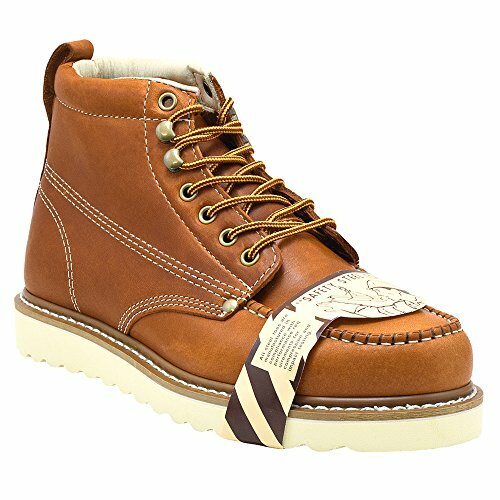 Combined with Goodyear welt construction this workboot boot is built for safety and stability. Thick insulation keeps feet warm in extreme temperatures. They perform well in harsh environments and feature a bouncy, wedge outsole to ease the pressure while standing on concrete. Unfortunately, the boots run a half-size larger than other brands. However, they do offer an ergonomic fit, once they are broken in. The uppers on the Golden Fox Steel Toe looks like a pair of ordinary safety boots. However, the outsoles feature two durable shock absorbing layers to relieve pressure. 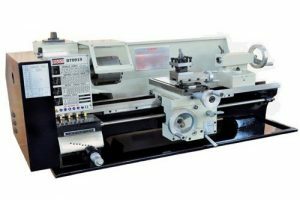 They perform well in a variety of industrial settings. A round tread pattern grips uneven surfaces and keeps the feet grounded. With one good kick, mud and dirt shake loose from the channels. A cushioned layer is sandwiched between the midsole and outsole gives you an extra spring in your step. Although the boots are treated with water repellant materials, they are not designed to withstand extreme wet conditions. The Chukka is a well-constructed steel toe shoe with an oil-treated upper and heavy-duty, polyurethane sole. These boots have been impact-tested and proven to meet ASTM standards. With a cushiony anti-fatigue insole with micro air bubbles, the Chukka boot is ideal for carpenters, who take the brunt of the pressure from holding heavy objects. The boots run a half-size larger than regular shoe sizes. These rugged sole boots feature a water-repellent leather upper. A cushioned mesh interior keep the feet dry and ankle cuffs offer comfort. With sturdy welt construction and a durable outsole, you can walk and stand for hours. The shank provides stability and flex points give you walking flexibility. Heel shock absorbers take the pressure off your back and provide lasting protection. The tongue feels uncomfortable when the boots are laced tightly. 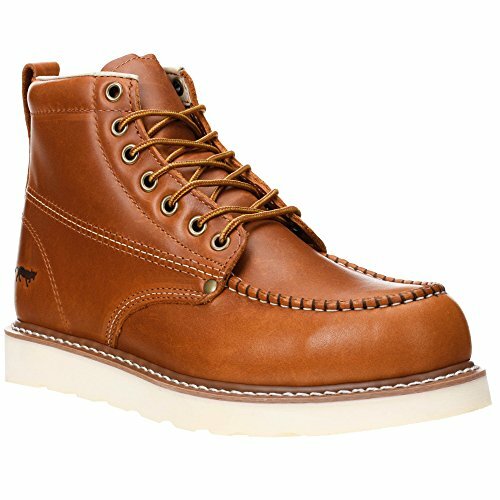 This Moc Toe Work Boot is built with first-rate leather, giving them a rich sheen. The thick leather upper is assembled with reliable Goodyear welt construction and provides lasting wear and comfort. They are ideal for heavy workloads and tough terrain. A pigskin collar keeps the boots from digging into the back of the ankles when stooping or kneeling. Thick, oil-resistant soles provide bounce and help you maintain balance on slippery surfaces. The Bontex footboard receives support from a steel shank to relieve pressure from the balls and arches. The shoe is not designed for those with wide feet. Probably the jewel in the crown of Golden Fox work boots. 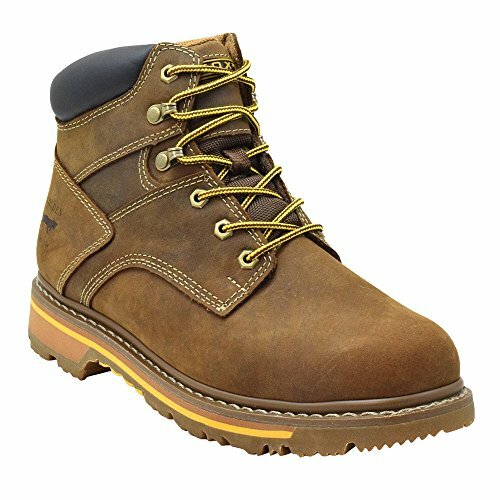 The Golden Fox steel toe 6″ work boot is made of hard wearing american leather and has an easy to clean synthetic sole that is not only lightweight and durable but is also resistant to oil and chemical erosion. The patterned soles allow the wearing to walk freely and confidently while at work without the worry of slipping. The traction it gives is very good. As with most good work boots, these have a steel toe cap that in lined inside the boot with a comfortable and soft padded fabric cushion that acts as a barrier between your foot and the steel cap. Its also ASTM certified. This means that its been properly tested to ensure your safety. For added safety, the work boot as a steel shank that gives you additional support around the arch of the foot. 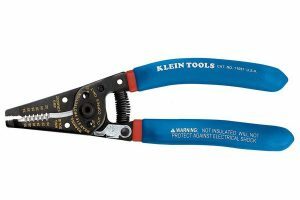 The great thing about this shank is that it reduced pressure on the foot when standing on uneven surfaces or climbing ladders. These boots are great in all weathers. The lined fabric helps the foot to breath in hot weather, reduces moisture and sweating. In the winter is provides added warmth and insulation to keep your feet nice and toasty. Probably the most fashionable work boot in the Golden Fox range, the Toe Wedge is made in the USA and is unlined to give you that breathable comfort you need, especially when working on hot building sites. It comes with the anti-fatigue insole that helps to relieve tiredness by absorbing the shocks your feet take while at work. By cushioning your feet better, you’ll be able to work better. Simple. The lightweight white rubber wedge is the outsole that is completely chemical and oil resistant. So if you do tread in some corrosive chemical, its not going to melt your work boots. The sole give really good traction and support, which is exactly what you need when working in hazardous environments. The leather construction of the work boot is Goodyear Welt, which is a very strong adhesive that bonds the uppers and the outsoles of the boot. This basically prevents your boot from coming apart. It also enables your boot to be resoled easier should you need to do so. 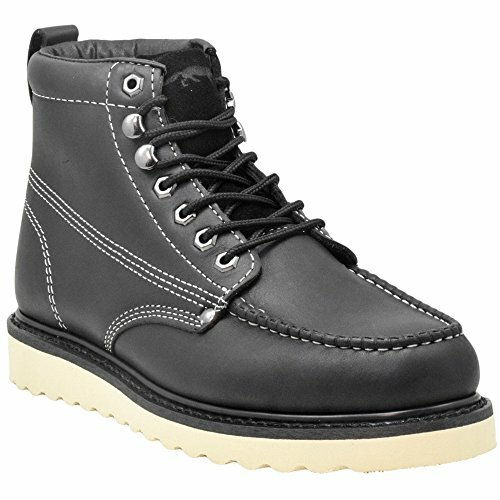 Overall this work boot is an ideal lightweight summer boot that is affordable and gives you value for money. The Boondocker boots have been around since World War One. Soldiers fighting on the front line needed a durable and comfortable work boot to be able to cope with the rigours of war. They were supplied trench boots which were then given the nickname of “boondockers”. This style of boot then went on to become the US Army’s official work boot during World War Two and many other wars that they were involved in. Because of its hard-wearing properties and stylish design, Golden Fox have transformed the iconic boot and brought it into the 21st century. It still has the functionality of a work boot, but crosses over into fashion wear. These are being used as work boots because they are hard wearing, robust, long lasting and comes with a steel shank to help alleviate fatigue and reduce pressure on the feet when standing on uneven surfaces.